These pyramid double newel caps provide a simple but effective design choice to finish double square newel posts. They are available in a choice of woods, to suit your stair design. 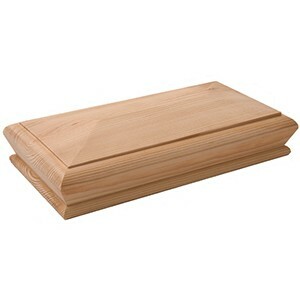 We also supply these double caps in sizes ranging from 90mm x 180mm up to 90mm x 230mm.